From the team that brought you Philip Ridley’s TENDER NAPALM, and from top Canadian playwright Brad Fraser, comes another hit show. Madison is looking for a job. She applies for a position in a restaurant only to discover that the owner, David, was in a sexual relationship with her father when the two men were younger. Sparking a series of further revelations, the sudden reappearance of David exposes suppressed emotions and desires in everyone and the family must renegotiate their relationships with each other and, ultimately, redefine their family. In sharp, non-stop dialogue, Brad Fraser brings each of his characters to life with a depth, humour, and emotion that tears open the nuclear family and finds the heart that is often lost and forgotten. 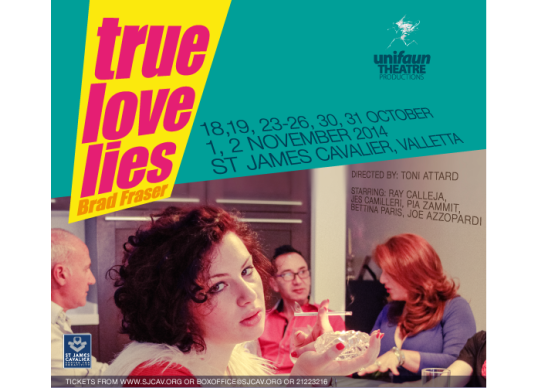 Written by Brad Fraser, directed by Toni Attard and starring a stellar cast, this production will have you questioning the true meaning of love long after the curtain comes down.